Do your students need to review multiplication and division? 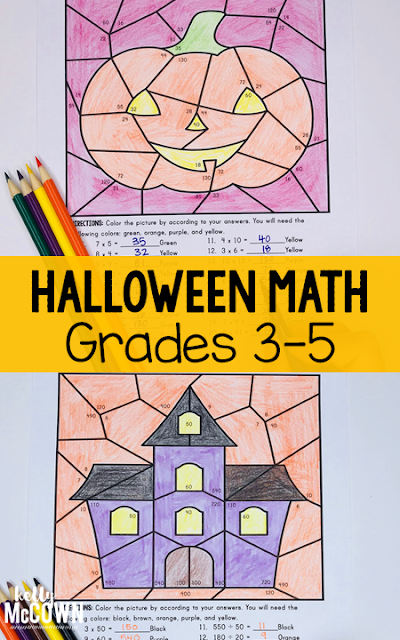 These Halloween Multiplication and Division Coloring Pages feature coloring problems to create a haunted house and pumpkin pictures. Students review multiplication only or multiplication & division skills. No prep, print and go for grades 3, 4, and 5. Aligned to math standards for upper elementary. *NO PREP, Print & GO Activities! (Only materials needed: 4-5 different colored crayons or markers, and a pencil). *Engage your students in Math for Halloween! Have fun this Halloween with your students and engage them with some fun multiplication and division review. Every student enjoys coloring and creating pictures. With multiple options for students to create, the pictures will all be unique to each student.